Marylyn K.L. 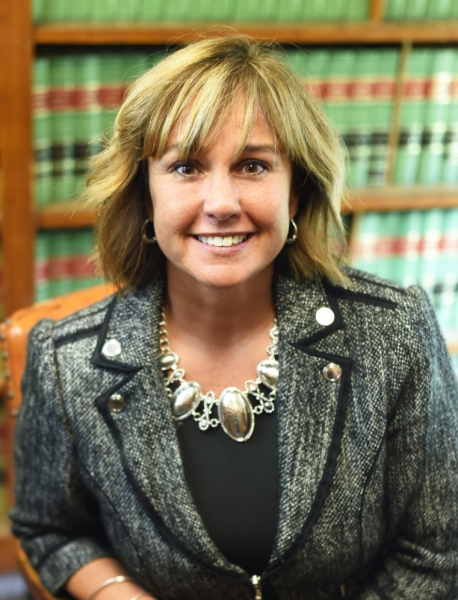 Ernsberger received her Law Degree from Thomas M. Cooley Law School in Lansing, Michigan and a Bachelor of Science degree in Political Science from Indiana State University. Marylyn focuses her Practice in the areas of Family Law, Estate Planning, Guardianships, Real Estate transactions, Civil Litigation, including Personal Injury and Wrongful Death, and Mediation. As a certified Civil Law and Family Law Mediator she uses her skills to negotiate creative resolutions to resolve problems for her clients. If litigation is necessary, she has Jury Trial experience in both civil and criminal cases. A former insurance defense attorney, she has successfully settled personal injury cases for her clients as well. Marylyn is a lifelong area resident having graduated from Prairie Heights High School and resides with her husband Dan and their 2 children Emily and Jacob at Wall Lake in Orland, Indiana. Prior to attending law school, she operated a successful retail shop for over 10 years and served as an elected member of the Orland Town Council.